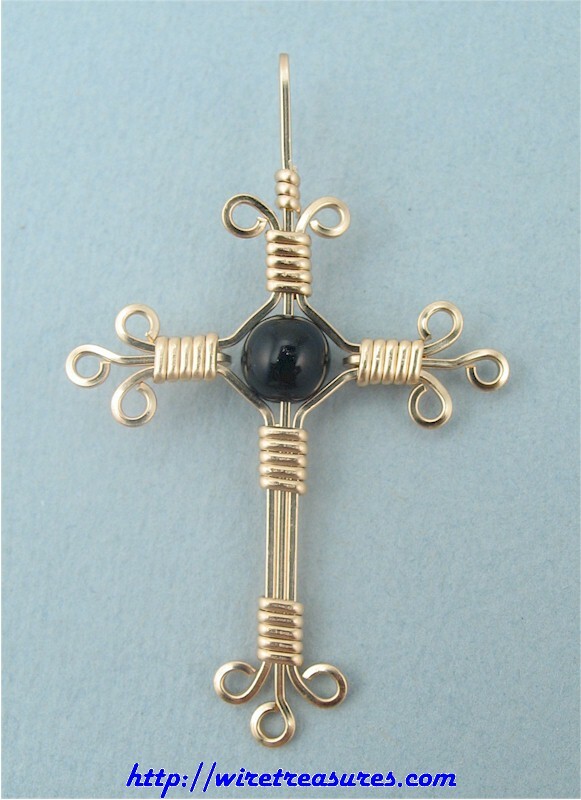 This 14K Gold Filled wire cross has a single 6mm Onyx bead at its center. This is a Jessie Donnan design. This pendant is representative of the one you will purchase. Since all my beaded pendants are hand-crafted, no two pendants of the same design will be identical. Small variations in size and design are inevitable. This pendant is 2" high and 1-1/4" wide. You are visitor number 4,235 to this page.